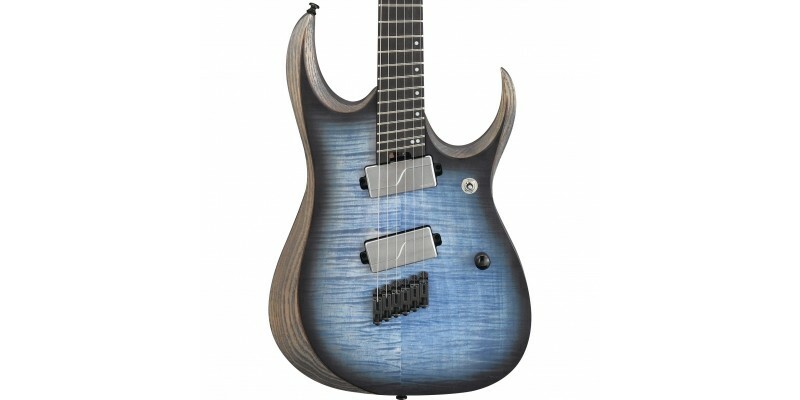 New for 2018, the Ibanez RGDIM6FM forms part of Ibanez's metal-focused Iron Label series of guitars, and is here presented in Cerulean Blue Burst. The twin Fishman Fluence Modern Humbucker pickups produce effortlessly heavy tone, perfect for palm muting, while remaining articulate and clear enough for fast soloing. 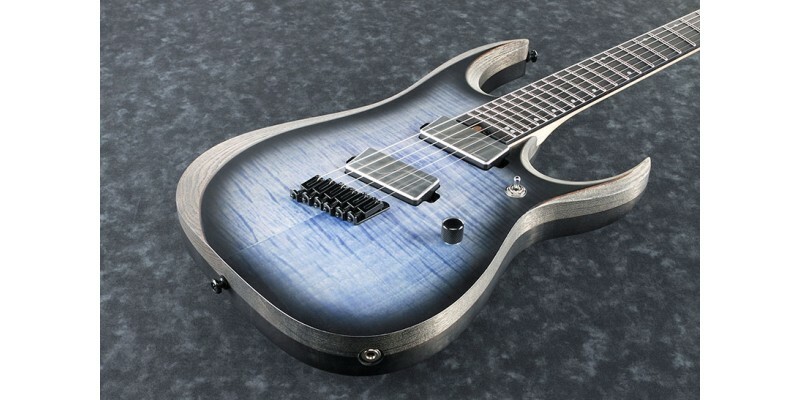 The multi-scale layout, ranging from 26.7" to 25.5", make this guitar ideally suited for down-tuning. 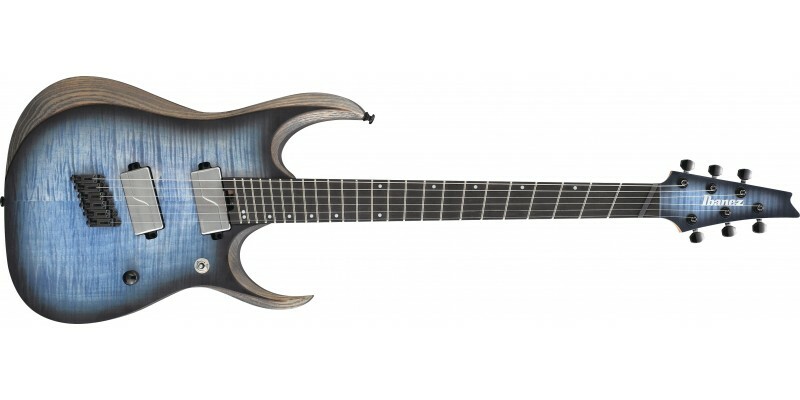 The Ibanez RGDIM6FM offers an incredible amount for the price. Other standout features include the ebony fretboard, three-piece body, rock solid mono-rail bridge and super thin nitro-wizard neck. Check it out today in our Glasgow store, Merchant City Music, or buy online for fast delivery to the UK and Europe. We know Ibanez guitars very well here at Merchant City Music, and every one we sell is fully checked over and set up, ensuring you receive the best possible example. Nitro Wizard 3pc Maple/Purpleheart neck: Legendary Super-thin, ultra-playable neck, made by Maple/Purpleheart with road-tested durability. Ebony fretboard: Ebony produces a tight low and mid range with an iconic attack on the high end. It also features a quick response and rich sustain. Multi scale: Equalized tension helps to create a more "alive", open tone. But the design also improves player comfort. 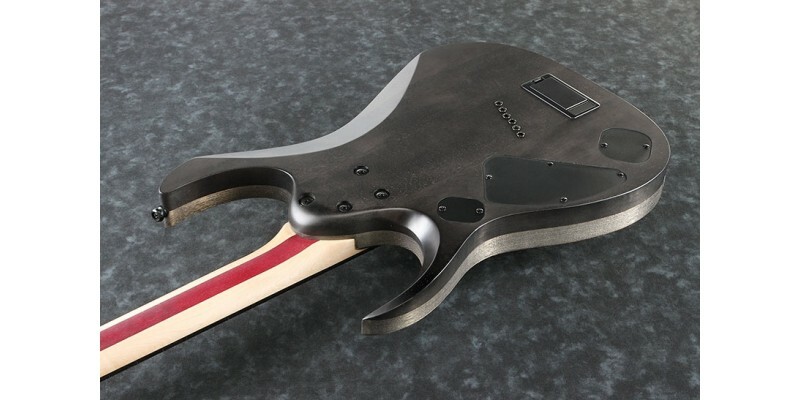 The multi scale construction ergonomically coordinates with the way a player's hand angles as it moves up and down the neck, facilitating quick, comfortable playing action. Mono-rail bridge: The Mono-Rail bridge delivers the ultimate in string-to-string isolation, meaning that each string vibrates optimally without be affected by the others. Scale length 679.6mm/26.7" - 648mm/25.5"